What is your perfect worship service? Scriptures? Choirs? A moving sermon? Warm, friendly faces, handshakes and hugs? 2. Worship happens anytime God is present. Our doors are open to you, come join us. Our service runs from 10:30 AM to around 11:30 AM, followed by refreshments and fellowship time in our social hall. Sunday school is available for children and youth from pre-school through high school starting at 10:30 AM. We are very fortunate to have a talented worship team that opens our Sunday morning worship with song and praise. Twice a month, our traditional choir performs as well. Prayer makes up a portion of our service each week, as we offer our prayers, uplifting our joys and concerns. We also receive prayer requests at pray@bmuc.org. Our pastor, Rev. Craig Yoshihara, presents sermons each week. If you cannot attend, you can catch-up on some recent sermons on Rev. Craig’s blog https://craigyoshihara.com/ orYoutube. Thank you for checking us out. Come and worship with us. We look forward to seeing you. UMW Craft Workshop: Wednesdays, 10a.m. to 2 p.m. 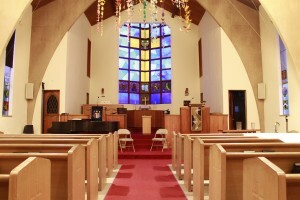 Adult Choir Rehearsal: Weds, 7 p.m.
Men’s Group: 1st and 3rd Fridays, 6:30-8 p.m. All men welcome. Contact Lindsay Hiratzka for info.